If you live in any major U.S. city, then you’ve probably noticed that there have been fewer taxis on the roads in recent years. The reason? Uber has taken over the commercial transportation industry by offering more convenience and cheaper rates than traditional taxis. However, just like any other transportation service, Uber vehicles sometimes get into accidents. 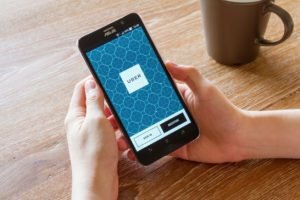 If you were injured as a driver, passenger or pedestrian in a crash that involved an Uber vehicle, then you may be wondering if Uber’s insurance policy will pay for your damages. The answer to this question depends on who caused the crash and whether the Uber driver was on the clock when it occurred. 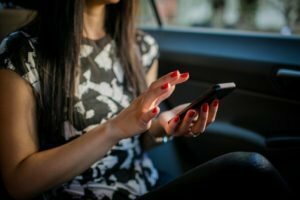 If you were injured in a rideshare accident, contact the Troutman Law Office. Matt Troutman is a personal-injury attorney in Lexington, Kentucky who will investigate your arrest, interview witnesses, and help you make a claim for the highest possible compensation. Mr. Troutman has been protecting the rights of the injured since 1986. Call 502-805-0321 to schedule a free consultation. After most car wrecks, the insurance provider of the driver who caused the crash will pay for damages. However, when a rideshare vehicle is involved, the claims process is more complicated because there are several insurance policies in play. The first step in determining insurance liability is to identify the person who caused the collision. If you were riding in an Uber as a passenger and another driver hit the Uber vehicle, then that driver’s insurance policy should cover the damages. If the Uber driver caused the wreck, then your auto accident lawyer will investigate whether he or she was on the clock at the time of the crash. If the driver was on the clock and transporting passengers, then Uber’s commercial vehicle insurance should cover the damages. However, if there were no passengers in the vehicle, then the driver’s personal car insurance would cover the damages. For example, if your vehicle was hit by an Uber driver who was not transporting passengers, then Uber’s insurance policy would not cover the damages. The same is true if an Uber driver hits a pedestrian after dropping off passengers. Even if it is obvious who caused the accident and which insurance policy will cover the damages, making an injury claim is a legally complicated process. The insurance company will likely offer you a low settlement and try to convince you to accept it to cover your medical bills and lost income. Don’t make this mistake. You should never accept a settlement until you are sure of the cost of your future medical expenses. If you settle for a low amount, then you may wind up in overwhelming debt due to ongoing health-care bills and lost income. An experienced auto accident lawyer can help you avoid this mistake. Matt Troutman will calculate your damages and handle correspondence with insurance companies. Mr. Troutman is not afraid to take your case to trial if the insurance company does not offer a fair payout. Call to schedule a free consultation with a personal-injury attorney in Lexington. If you would like to learn more about car accident injury claims in Kentucky, visit USAttorneys.com.